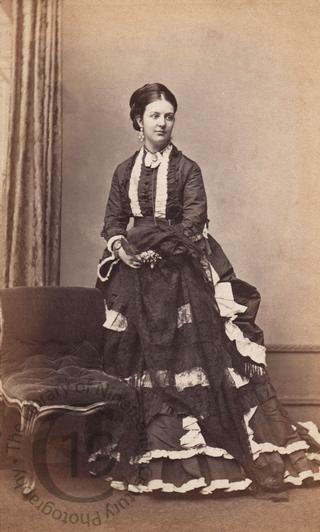 Born in 1850 at Chorlton in Lancashire, Amy Brooks was the daughter of the English barrister, banker and Conservative politician Sir William Cunliffe Brooks, afterwards 1st Baronet. In 1869 she married in Westminster Abbey the Scottish peer Charles Gordon, Marquess of Huntly. The couple lived at Aboyne Castle near Aberdeen in Scotland and at Orton Hall near Peterborough in England. The marriage produced no children.